Last month, I had the chance to buy some freshly gathered white truffles right from the person who hunted for them. If you had been following me, this year had been a lucky truffle year for me. At the beginning of the year, I went on a truffle hunting trip in Alba sponsored by the Piedmont Tourism Board and had them for breakfast and throughout my stay in Alba, a full-course black truffle-based lunch in Umbria last month, a delicious plate of freshly-shaved white truffles on fresh tagliatelle all'uovo in Perugia and when I encountered a truffle hunter after that, I had to buy some and make my own pasta dish to enjoy at home. 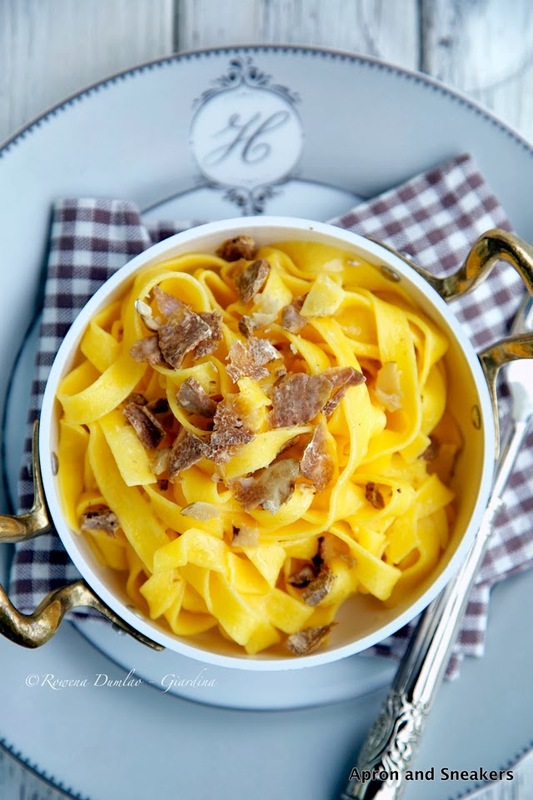 One of the best ways to eat them is with fresh tagliatelle all'uovo mixed with melted butter and the freshly-shaved truffles. Another dish I love with truffles is a simple plate of eggs with freshly-shaved truffles. 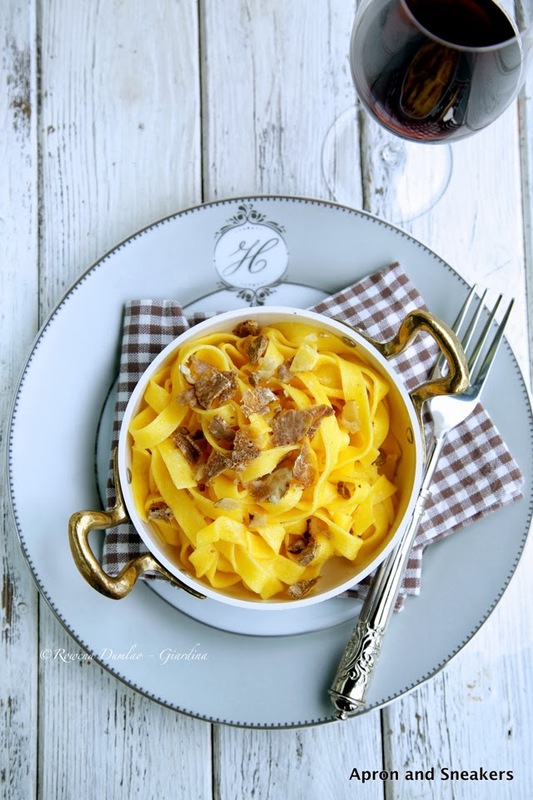 You don't cook the white truffles, you just drop the shavings on cold or hot food. They are one of the most expensive food in the world and you will waste its prized taste and scent if you cook them. 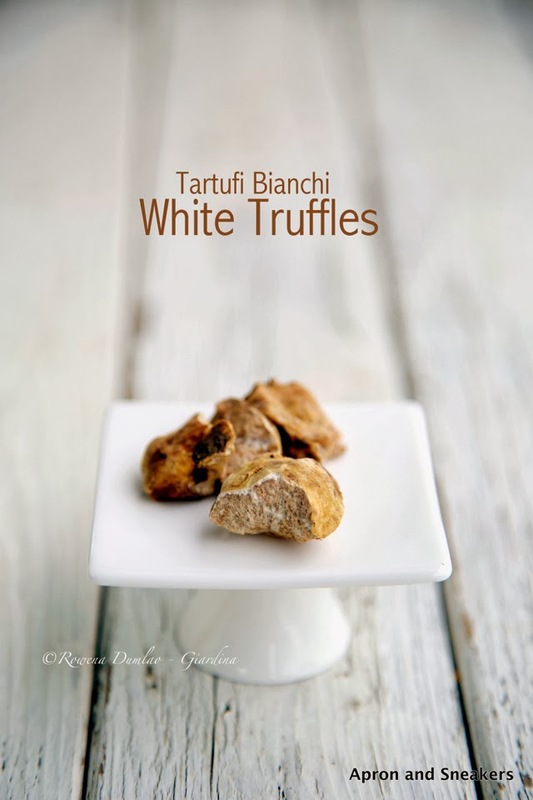 If you want to learn more, check out this old post I wrote about truffles. When you do have this tuber in your hands, the big question is, how do you deal with it? That was my first question when I bought it. I did eat them before but they were prepared by chefs. When my turn came, I didn't know what to do with my earth-crusted prized possession. A tuber can be very aromatic and can also have a milder scent and anyway, there are more than 200 species of truffles. The one I bought was very aromatic whereas some others were toned down. To keep it, I was told to keep it in a piece of natural fabric like cotton that breathes or paper towel then place it inside a closed dry jar. It can keep for a couple of months there. My truffles were very fresh and I wanted to enjoy them while they were still in that condition. Thus, the following day, I mixed them with the tagliatelle. To clean it, you wet them only minutes before using them. Prior to using, rinse them fast under the faucet with cold water. Using a small brush (I used a brand new toothbrush), take away the dirt. Dry them up by dabbing them with paper towels. Shave them and mix them with the food. Since I don't have the proper truffle shaver, I just used my mandoline. What I love about this dish is that it's so simple to prepare. The subtle taste and strong aroma of the white truffles leave a lingering amazement to the palate. It's a special kind of food that we can only enjoy on special occasions like Christmas. So if you are that kind of very busy person and would like to serve something very special, here is the simplest plate to prepare with extremely good results. Have a joyous weekend! Boil a pot of water over medium - high heat. When it boils, add the salt then the pasta. Cook the pasta between 3 - 4 minutes or until al dente, depending on the thickness. While waiting for the pasta to cook, melt the butter in a saucepan over medium heat then then turn off the fire. 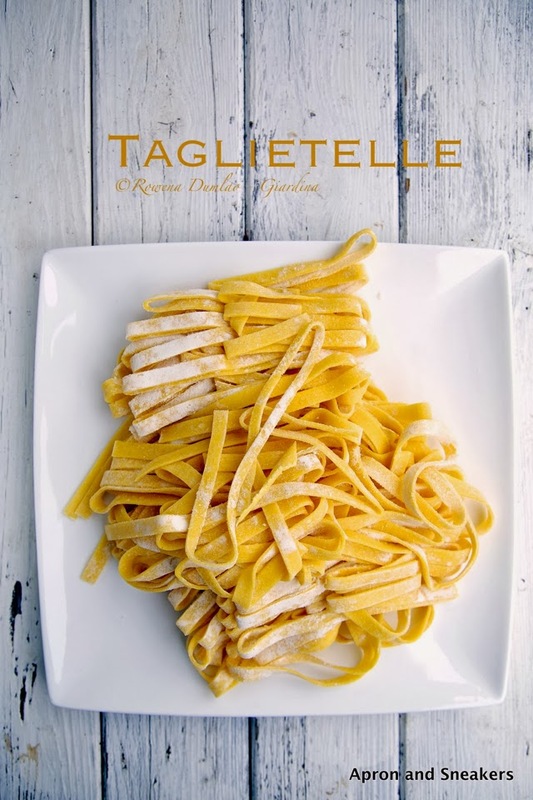 Mix in the cooked tagliatelle in the saucepan with butter. 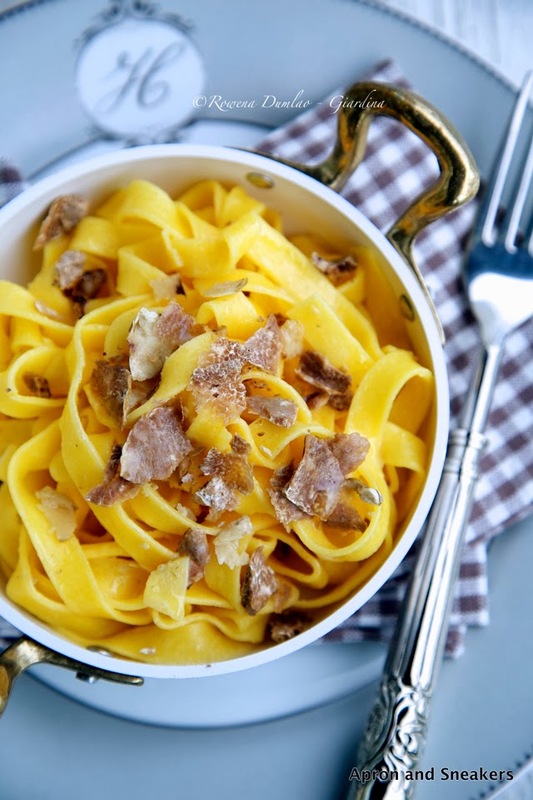 Shave half of the white truffles, let them fall on the tagliatelle then mix carefully. Top with the remaining shaved white truffles. Serve while still hot.